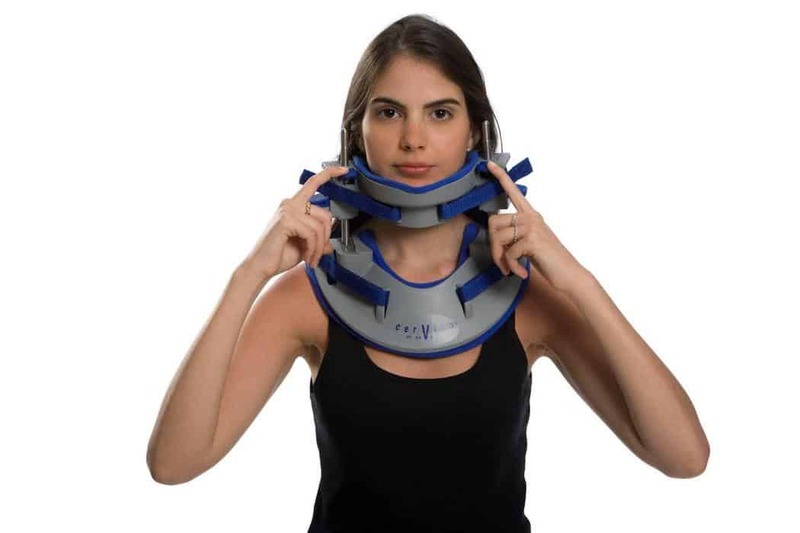 This page contains clinical information for healthcare professionals using the Cervico 2000 neck traction device to treat neck injuries and disorders. As you probably know, cervical spinal decompression is a very common treatment method for conservative pain management in patients exhibiting cervical disorders. The major goals of spinal decompression include pain relief, reduction of pressure on cervical nerve roots and an improvement in the patient’s Range of Motion (ROM). The key to the Cervico 2000’s approach is in its ability to afford both symmetric and asymmetric traction to the cervical spine, affording rapid pain relief from whiplash, herniated (slipped) discs, degenerative disc disease (DDD), wry neck (torticollis) and sports injuries. The outcome of this unique combination is that chiropractic therapy, physiotherapy, osteopathy or any other therapy treatment can be customized to meet each patient’s specific needs. The Cervico 2000 is very simple to use: patients with a chronic condition can easily self-administer the treatment at home. Conveniently, the treatment duration is shorter than other conventional treatments, requiring on average only 15 minutes per day. Therefore, the patient does not need to wear the brace continuously. Even during the treatment session, the patient can go about their business. As a result of treating patients with the Cervico 2000 neck spinal decompression device, patients are no longer confined to time consuming solutions, and regain control over their schedule and lives. More importantly, the patient can often significantly reduce their pain within a single treatment. Most treatment regimens require the patient to have daily treatments for two weeks, for 15′ / day, even when the pain is reduced within 1-3 treatments, sometimes completely. According to a clinical study performed by the Orthopaedic Technological Review, 86% of all cases experienced spinal pain relief as a result of direct spinal decompression. Cervico 2000, unlike other cervical spinal decompression medical devices, is comfortable, provides rapid relief and a fast return to active life-style. Quite the opposite, the Cervico 2000 is extremely user-friendly, enabling patients to successfully manage their acute or chronic condition anywhere, any time, at the clinic, at work, during their leisure activities, or even at home, for 15′-20′ per session per day. Being an excellent tool for advanced chiropractic management of cervical disorders, whiplash injuries, torticollis (wry neck), herniated (slipped) discs, bulging discs, sport injuries and more, the Cervico 2000 is a ‘must have’ product for every chiropractic, osteopath or physicotherapy clinic. Scroll down towards the bottom of the page to read Cervico 2000 clinical information pdf. Various methods of spinal traction for treatment of neck pain have existed for years and even centuries. Many pathologies are involved in cervical pain syndromes, some of which are: degenerative, protrusion of the intervertebral disc, osteophyte, osteoarthritis and periarthritis of the facets and joints; whiplash, and torticollis. The pain experienced by these patients is a result of compression, inflammation and fibrosis of the nerve roots and local interference with the blood supply to these roots. Clinical symptoms in these patients may include neck pain radiating to the upper limbs, chest tingling, headache and vertigo. Clinically, decreased range of motion, muscle stiffness and possible neuralgic deficit signs may be involved. Cervico 2000 is a unique cervical traction device, which provides vertical and upward distraction along the cervical lordosis. Extensive research has proved that only traction in such a direction produces a hyperextension force acting equally on all parts of the discs, thereby increasing the normal height of the intervertebral disc and restoring the normal intervertebral space. For years medical opinion has been that cervical traction may also be utilized, usually with good results. However, all the available traction devices are complicated and difficult to use. The idea behind the Cervico 2000 was to develop a small, portable, one-size-fits-all effective traction unit, especially designed to apply, directly to the spine, powerful, cervical, directly-controlled, symmetrical or asymmetrical traction. Use of this device was found most comfortable for the patient, often providing immediate improvement in discogenic pain, especially at C5-C6 levels. Similar to physiotherapy, reduction of cervical lordosis offered by the Cervico 2000 is an important step towards the reduction of nerve root compression, which in turn affords the pain relief. Neck pain as a result of discogenic disorders, osteoarthritis, or degenerative changes in the cervical spine. 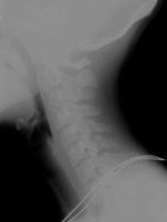 Whiplash injuries, usually as a result of a traffic accident (injuries which do not involve breakage or dislocation of the bones). Torticollis as a result of rheumatic or muscular pain or spastic corticollis with a neurological basis. Job-related neck pain (i.e. clerks, secretaries), prolonged computer use, sewing, etc. Sports injuries (without breakage or dislocation). Following dental surgery or implants; false teeth should be taken out. Meditrac’s concept offers doctors and physicians a range of business opportunities. Being so easy to use, professionals can increase their income by treating more patients without increasing manpower, whilst rapidly improving your patients’ conditions, often negating the need for surgery. If you wish to find out how you can have successful results with our novel self-treatment cervical spinal decompression medical device, take advantage of this unique opportunity and contact us today! We trust you have found our Cervico 2000 clinical information page informative but if your questions remain unanswered, please contact us by phone, chat or email and we’ll get back to as soon as possible. All Meditrac’s products are registered with the United States Food and Drug Administration and carry the CE mark. Please note that United States Federal law restricts this device to sale (within the United States) by or on the order of physician only. For all the years that I have been using multiple Vertetrac units for the successful treatment of lumbar disc lesions, IVF stenosis, etc., I kept asking myself when someone was going to design a similar unit for the cervical spine. I would like to thank Meditrac for having the vision to do so in its manufacture of the Cervico 2000. I have used several different types of cervical traction units over the years with sub optimal results. With the Cervico, I am able to impart sufficient, constant distractive forces to the patient with minimal discomfort to them. The constant high load distractive forces allow for an improved ability of the body to heal the soft tissue components of the lesions. 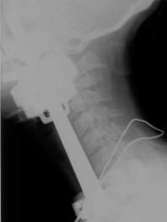 The individual traction rods allow different levels of distraction to be performed on the right and left at the same time, this is especially helpful with cases of torticollis. Thank you again for this fine product. I am using extensively both units Vertetrac and the Cervico 2000. My patients are doing well using them in the course of their treatment. As for the Cervico 2000 unit I use it myself and I have patients on it, too. I must say I have remarkable results, and the patients notice the difference, as well. I have tried several different Cervical Traction devices in over my 19 years in practice. I have even developed my own. The problem with mine and so many others, they apply a force on the temporal mandibular joint. This makes the patients uncomfortable. I received my Cervico 2000 soon after you introduced the unit and have not had one complaint. It works great on our acute, as well as chronic patients, without any force on the TMJ. Mr. Snow came in after his 5 year old work injury was getting to the point where he was going to have to retire. The prescription pain pills, muscle relaxants, and daily home traction no longer helping. He was now having Radiculopathy in the right arm into the hand. After 10-15 treatments with adjustments and your traction device, he was not only feeling better, he was off the medications. He commented that using the Cervico 2000 for 10 minutes 3 times a week was far better than daily home traction for a half hour of more. In March 2010 I was carrying my son (almost 3 years old and 40 lbs) on my shoulders when I noticed left arm pain and paresthesias. These symptoms worsened over the next 10 days. My MRI showed disc bulges at C2-C7, disc herniation at C6-7, foraminal stenosis and canal stenosis. I have been a competitive powerlifter all my adult life and never once had any neck symptoms. I purchased the Cervico2000 and used it daily for 10 minutes and gradually increasing daily to 20 minutes over the next two weeks. At the end of the two weeks my symptoms were GONE! Needless to say I was quite pleased. I then started using the Cervico2000 with patients. The first patient had headaches for decades. We were using my standard supine intermittent traction unit with no results. After one 10 minute session with the Cervico2000 her headaches were gone. I used it several more times and she has had no recurrence of the headaches. Since then I have been using the Cervico2000 with all my neck and upper extremity patients with great results. I purchased a second unit to rent to patients as I have found that daily use over two weeks provides incredible relief for patients. Thank you Meditrac for a wonder therapy. I have been using the Cervico 2000 device for the past several months. The results with patients having herniated, bulging and degenerative disc problems have been remarkable. Most of my patients have tried numerous other methods of treatment, including other forms of traction, and had no symptomatic relief until using the Cervico 2000. I urge anyone treating cervical spine conditions to incorporate the Cervico 2000 into their treatment protocol. Your patients will thank you.